Our Natural Health College, Holistic Nutrition School, and Natural Healing School provide a distance learning health education. See below for the COST of our Degree Programs and our monthly payment plans. The amount shown for each College of Natural Health degree program (B.S., M.S., PhD) is the total cost for tuition, a complete set of books, examinations, teacher guidance, test evaluations, grade reports, and an embossed diploma. Shipping & Handling costs are itemized separately. The student will also be responsible for incidentals, for example, the cost of postage when mailing Progress Tests and Final Examinations to the school to be graded. 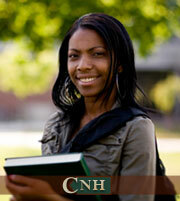 AN INITIAL DEPOSIT OF $890.00 IS REQUIRED FOR ALL FINANCED DEGREE PROGRAMS. Add $95.00 for shipping & handling. Additional shipping and handling charges apply outside of the U.S..
A 20% Prepayment Discount will Apply to Bank Checks and Credit Cards.